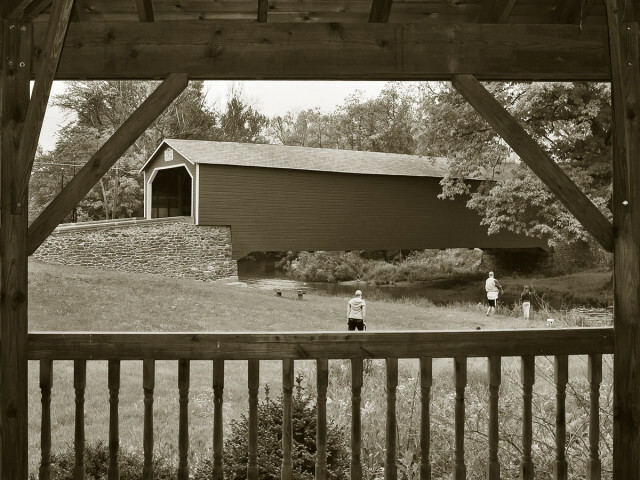 The Kreidersville covered bridge was built in 1839 and crosses the Hokendauqua Creek. It is no longer open to vehicular traffic. It is a great spot for fisher-people and weddings in the gazebo which this blip is taken from. P is walking toward the creek to take her blip.